When you are planning a wedding reception, special party or corporate event. You want your guests to have a dedicated space for dancing. 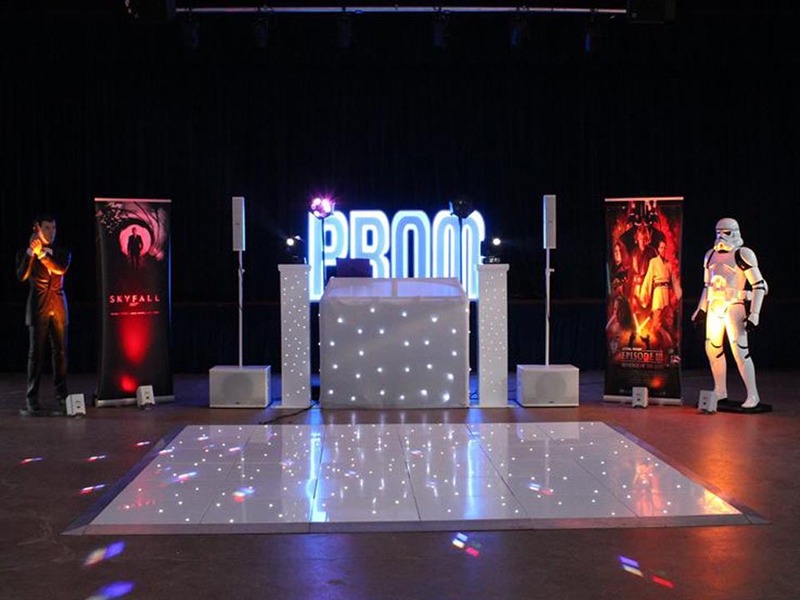 The best way to encourage this activity is to make sure that your venue is equipped with a dance floor. If such an area does not exist, we have just the service for you. 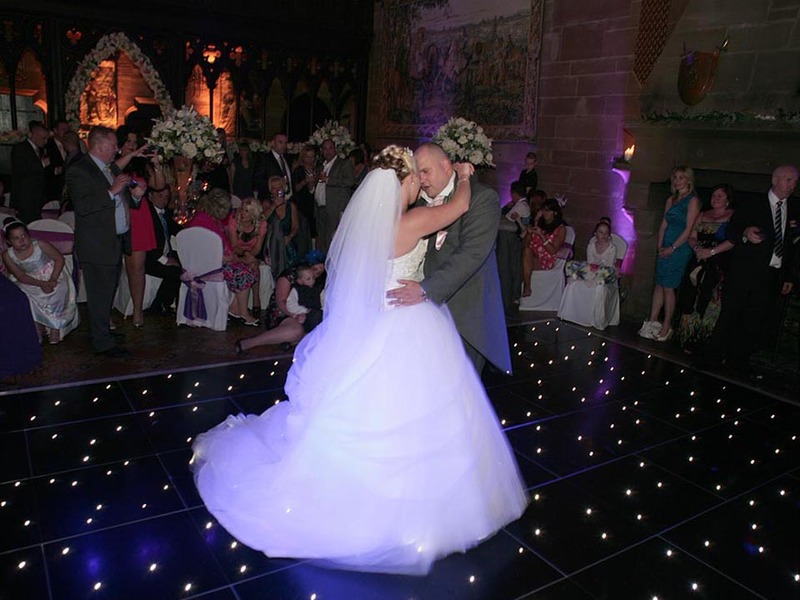 Our dance floors give any space that wow factor. If your planning to have a rustic theme, our parquet option will be perfect. 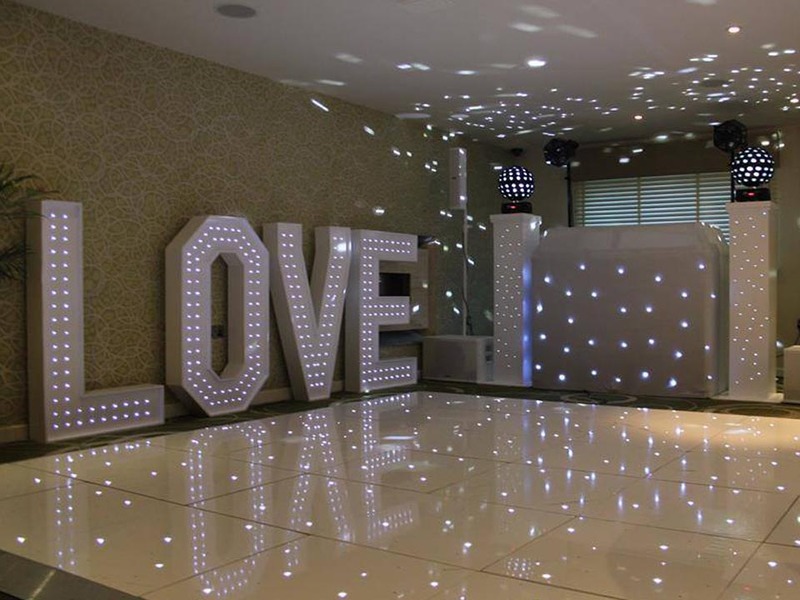 If you want that classic white wedding look, you can choose either white led or plain white. These items are much more than decorations. They are transformational pieces that turn regular rooms into fun-filled environments. Guests love a dance, so give them that area to release some energy or catch a slow dance with a loved one. The entertainment potential is endless. Have a look at the table below to give you an idea of what size floor you require.